This entry was posted on September 15, 2015 by Goplasticpallets. 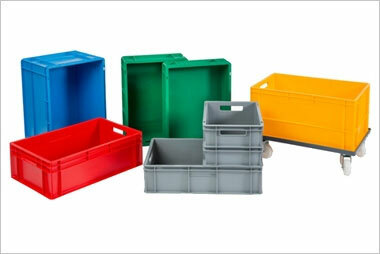 Goplasticpallets.com’s versatile plastic pallet collar is proving a popular addition to the company’s range of pallet accessories, which is little surprise considering the significant benefits it offers over traditional solutions for protecting goods in storage and transit. Jim Hardisty, Managing Director of Goplasticpallets.com, said: “Historically stretch wrapping and pallet walls have been used to offer added protection to palletised goods to avoid damage and unauthorised access, but these solutions are only suitable for a limited range of applications and present several problems. Wrapping, for instance, ensures goods remain intact but offers zero security; and pallet walls, whilst they prevent goods being tampered with, they require tools to assemble and take apart making them more cumbersome to use. 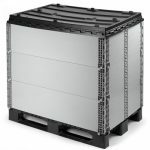 Goplasticpallets.com’s pallet collar is quick to assemble and disassemble, offers users flexibility since they can be built up to the height required, and folds down flat easily when not in use saving valuable transport space on return journey trips. Available in two standard sizes – the PC 1208 Pallet Collar measuring 1200mm (L) x 800mm (W) x 330mm (H) and the PC 1210 Pallet Collar measuring 1200mm (L) x 1000mm (W) x 330mm (H) – Goplasticpallets.com’s pallet collar can transform a plastic or wooden pallet into a robust storage container in seconds. 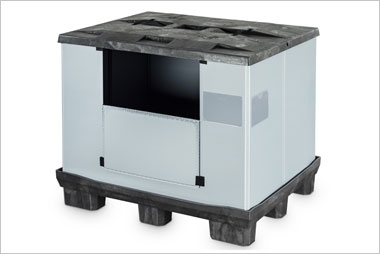 Users can dictate the height of the box they wish to create, since the collar can be built up in increments of 330mm to accommodate any load required meaning less warehouse space is wasted. This stage by stage assembly also makes loading goods much easier and safer, since no leaning into a part empty box is required. The same applies to shipping; no one wants to pay for empty spaces to be shipped. 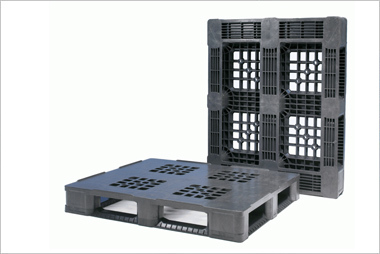 With Goplasticpallets.com’s pallet collar users can tightly pack goods to prevent contents shifting and limit wasted space, reducing shipping costs on outbound journeys. 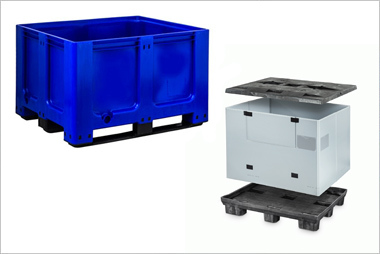 As the plastic pallet collar is reusable, there is no packaging waste unlike with stretch wrapping which presents a costly hassle to remove and recycle. 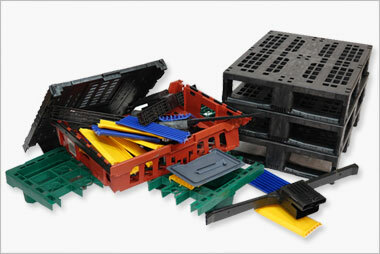 When not in use, Goplasticpallets.com’s pallet collar folds down flat which takes up minimal space in transit, considerably lowering the cost of return journey trips. A standard sized trailer can hold up to 832 pallet collars in total – 26 stacks, piled 32 high. Goplasticpallets.com can personalise your pallet collars by screen printing your logo or company name. Lids are also available as an option for added security. Call us today on 01323 744057 to arrange a demonstration from one of our pallet experts. Alternatively email us your enquiry to [email protected].